The much-awaited ultra low-cost Aakash tablet is now up for grabs, as DataWind makes the tablet available for online purchase. The Aakash, also touted as the world's cheapest tablet, has been priced at Rs. 2,500. DataWind is promising delivery of the tablet within seven days. Moreover, the company has also started taking pre-orders for the upgraded model of the Aakash a.k.a UbiSlate, which has been priced at Rs. 2,999. To refresh your memory, the Aakash tablet was announced in October this year. Previously nicknamed as Sakshat, the Aakash tablet is a government-sponsored device, which aims to connect rural India with the ongoing technology boom in the country. The susbsidised Aakash tablet is likely to cost Rs. 1,750. DataWind, however, is offering the commercial version of the Aakah tablet. 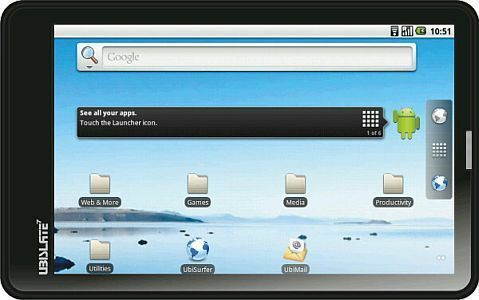 The Aakash tablet runs on Android 2.2 Froyo operating system. The Aakash has a 7-inch display with 800x480 pixel resolution. For connectivity, it has an built-in Wi-FI support and can connect a datacard for 3G and GPRS connectivity. The storage of the device can be expanded up to 32GB via microSD. It has a 256 MB RAM. The device supports document formats: DOC, DOCX, PPT, PPTX, XLS, XLSX, ODT, ODP and can run PDF viewer, Text editor. It has a 2,100 mAh battery which is promised to give 3 hours of backup depending upon usage. Read 'Your guide to the new $35 Aakash Tablet' for further details.You can also visit the official website for more details. The UbiSlate 7, which is expected to be launched next month, features both GPRS and Wi-Fi. 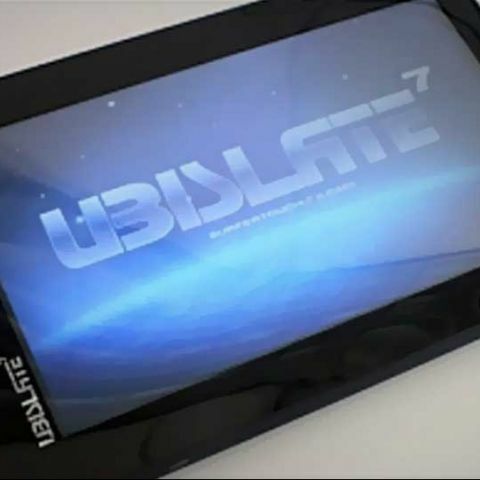 The UbiSlate 7 will also have the functionality of a mobile. The processor will be upgraded to 700 MHz, which will apparently be "three times better" than the original Aakash in performance. The tablet will also come with a 3,200 mAh battery, which is expected to give a back up to 5 hours. It comes with a headphone/mic plus integrated speaker. Read more details about the UbiSlate 7 here.